Hawkinsville's Old Opera House (1907) was originally called the City Auditorium. It is listed on the National Register of Historic Places. Located on the banks of the Ocmulgee River in central Georgia, the city of Hawkinsville (population 3,280) is the seat of Pulaski County. The city was named for Colonel Benjamin Hawkins, the agent for Creek Indian affairs south of the Ohio River from 1796 to 1803. Creeks lived in the area until the turn of the 19th century, when treaties declared the land American territory. In addition to being the “Highway Hub,” Hawkinsville is also known as the “Harness Horse Capital of Georgia.” In 1894, the Pulaski County Fair Association held the first official harness horse races, which were quite popular. Since the 1920s, the community has been the winter home for harness horse training, serving horsemen from northern and midwestern states as well as Canada. Today, the city continues to celebrate its harness horse heritage each April with the Annual Harness Horse Festival. The festival’s exhibition races begin the harness-racing season, and its activities attract visitors of all ages. Today, Hawkinsville and Pulaski County remain a largely rural, agricultural community. Hawkinsville is also a Georgia Better Home Community, a designation that is part of the Georgia Main Street Program. The city’s location along modern highways helps it to attract travelers taking the scenic route to Savannah, and aids in the community’s efforts to increase tourism. 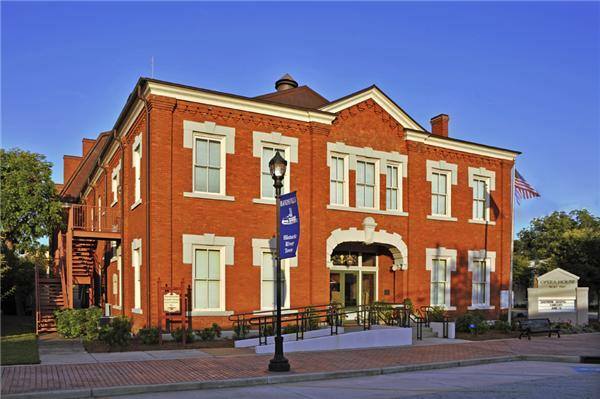 One of Pulaski County’s historic landmarks is the Hawkinsville Old Opera House. Built in 1907 to serve as a city hall and auditorium, the facility has hosted many famous entertainers and politicians over the years. Listed on the National Register of Historic Places, the Opera House was renovated in 2001, and today provides space for community plays, music and dance recitals, and other community events. One of the most popular of these is the Hawkinsville Oral History Forums, which encourage long-time community members to share memories of the city in a public venue and document these memories for future generations.